movie | What Are Grrls Made Of? Chihiro gets trapped in a world she is unfamiliar with and her parents have been turned into pigs. What follows is a story of how Chihiro learns to survive in her new surroundings – a place filled with creatures she has never encountered including a smelly sludge-monster, a towering baby and boy that transforms into a white dragon. If she cannot learn to rely on herself, she may never rescue her parents and escape from this bizarre land where gods and spirits exist among the living. Hayao Miyazaki (Director and Writer) knows how to do strong female characters. His girls are warriors and survivors, and he doesn’t fail to deliver in Spirited Away. 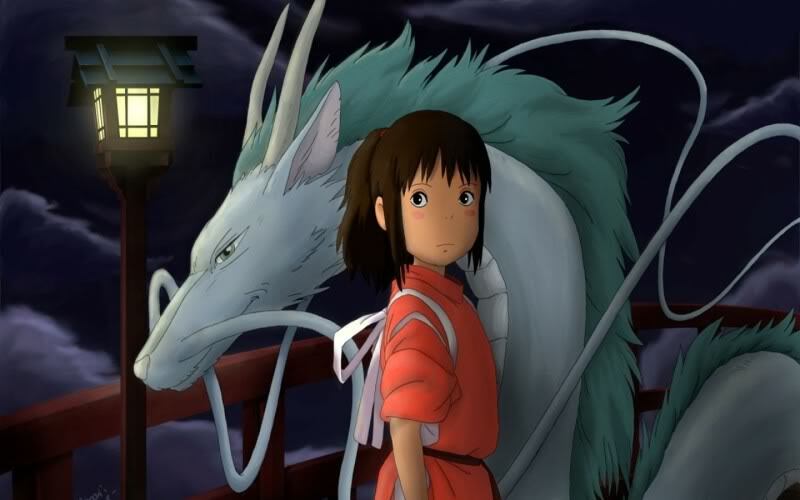 Posted in Movies and tagged lulz gif, miyazaki, movie, spirited away. Bookmark the permalink.